Home Safety Center Civilian Self Defense What is Self Defense? Context of training is far more important than technique! As a teacher, I’m occasionally asked to review textbooks for possible use in new or ongoing classes. Recently I was asked to review an online textbook for a self defense course at my school. While I liked the fact that online textbooks can include video demonstrations of techniques, which are infinitely more useful than pictures, I didn’t think this particular book had a lot to offer. I’m sure the author meant well, but it was obvious he had learned martial arts in a sports context and then attempted to apply that experience to self defense. Not only did this result in a number of questionable techniques, but the context in which they were presented also demonstrated a clear lack of understanding about just what is involved in self defense. A similar situation recently occurred online. Over the past year, Tech Insider posted several self defense videos targeting women. In one video, the instructor demonstrated techniques to use against an attacker while on the ground. In another, the instructor demonstrated techniques to use against a choke hold from behind. The response to these videos within the martial arts community was severe. Numerous commentators criticized the effectiveness of the techniques, some going so far as to posting their own videos to provide alternative techniques. The comments inevitably led to debates about the effectiveness of different styles, the most common topic being the applicability of ground fighting in self defense. As in the case of the textbook, debating the effectiveness of particular styles or techniques without first establishing context can create a great deal of confusion. Martial arts are practiced in a variety of contexts including art, combat, self defense, and sport. Because there is a great deal of overlap between them and techniques that can be used in any of them, it’s easy to think that the different contexts are the same. But as I detailed in my previous article, The Effectiveness of Taiji in Combat, mistakenly thinking that learning the art prepares you for combat or sport can have serious consequences. The same concept applies to self defense. To understand what techniques are effective for self defense, it is imperative to understand how self defense differs from the other contexts. 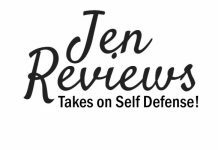 Before going into the differences between self defense and the other contexts, let’s first define just what self defense means. Self defense means you are under attack. It does not mean you have exchanged words with someone or suspect someone is a threat. Ready or not, the fight is on. To further complicate matters, more than likely the victim did not see the first blow coming, which is often one of the reasons they were attacked in the first place. Attackers are looking for the element of surprise with the intent to render the victim unconscious or at least incapacitated as quickly as possible. So whether the victims find themselves on the ground or still standing, if they’re lucky enough to survive the first blow they must now respond quickly and decisively. Hopefully at this point the training takes over. But if the majority of their training has focused on other contexts, they may not be prepared for the particular challenges this type of situation presents. This is the most obvious contextual difference and one of the themes in my article Earning a Black Belt. Training in the art involves learning how to execute all of a particular style’s basic techniques as well as learning its drills, forms, and principles. Training for self defense involves learning how to apply those techniques under duress. To put it simply, it’s theory versus practice. One example of this difference is the self defense videos that have created so much controversy. 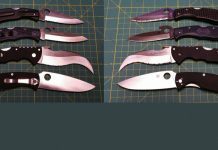 Every style, school, and instructor has techniques that they prefer and certain techniques are going to work better for some students than others. But in both the original and an alternative rear choke demonstration, the attackers remained stationary after initiating the choke. While this is fine for learning how to execute an escape or counter, it’s not the proper context for self defense. In an actual attack, the attacker will not remain stationary. In this situation, learning how to apply a technique under duress means performing it while likely being dragged backwards. These are the most commonly mistaken contexts. The techniques used in both are often identical, but sport has rules, referees, padded floors, and is one on one. The last two differences are the main reasons why debating the applicability of ground fighting in self defense takes the argument out of context. Self defense usually takes place on hard surfaces and is rarely one on one, so no matter how effective a particular ground technique is, going to the ground during an attack is hazardous and leaves you vulnerable to multiple attackers. A classic example of this difference is the fight between Chael Sonnen and Wanderlei Silva during the third season of The Ultimate Fighter Brazil. As tempers flared right next to one of the cages, Sonnen took Silva to the ground, injuring Silva. Immediately, both teams swarmed the fighters, with one of Silva’s assistant coaches injuring Sonnen in the melee that followed. Not only are the surfaces and numbers typically different, but as previously mentioned in self defense the initial attack often takes place from behind. In the online textbook, all of the techniques were demonstrated with both people facing each other in proper stances from just outside each other’s reach, like you typically see in sport. These contexts are so closely related that some instructors may treat them as the same thing. However, because of the different goals involved with each I think it is more appropriate to separate them. The goal in self defense is to avoid harm and escape the attack. The goal in combat is to defeat the opponent as quickly and efficiently as possible. As GT Leo Gaje Jr. likes to say, “Make the other guy worry about defense”. This difference is most apparent in the initial ranges of each context. As previously mentioned, self defense means that an attack has already begun. 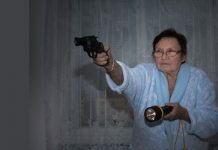 The range has already closed and escaping requires affecting the attacker’s vision, breathing, or balance long enough to allow the victim to put some distance between him or herself and the attacker. In combat, unless you can take the opponent by surprise, you have to close the distance. Doing so without exposing yourself to a counter attack requires a great deal of practice as well as an aggressive mindset. The importance of developing an aggressive mindset can not be overstated, not just in combat but in sport and self defense as well. As anyone who has fought in the ring or on the street will attest, violence is chaotic and terrifying. The ability to remain calm in the midst of all that chaos is one of, if not the, most important goals of training. Without it, it’s unlikely that a fighter, especially the victim of a surprise attack, can disrupt an opponent’s focus enough to put them on the defensive. The belief that fighting is 90% mental and 10% physical is commonly found in combat, self defense, and sport. Therefore training for any of these contexts must include mental as well as physical aspects. Mental conditioning requires placing students under the same type of duress they are likely to face in an actual fight. This requires the type of systematic approach I described in my article The Sparring Dilemma. Without including the mental aspects, the training is taken out of context and will probably be of little use in time of need. Stephen Taylor is a kung fu student of Jesse “Duke” Garcia and began teaching in 2002. He has competed in boxing, judo, Muay Thai, pankration, push hands, sanda, stick fighting, and submission wrestling throughout the US and China. Stephen has degrees from the University of Kansas and the University of Missouri Kansas City. 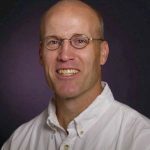 He spent seven years as the assistant to internationally ranked strength and conditioning coach Istvan Javorek and currently teaches at the University of Iowa.